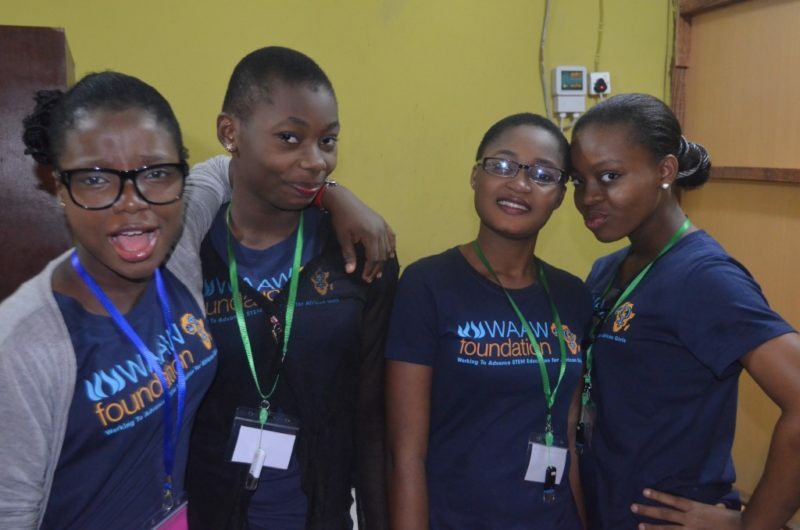 Applications are currently being invited for the WAAW Foundation STEM Scholarship For African Secondary School Girls interested in STEM Careers 2016. Spread the word to your siblings and friends. This summer, The Working to Advance STEM Education for African Women (WAAW) foundation is hosting 40 Secondary school girls for a Science, Technology, Engineering and Math (STEM) camp designed to inspire African girls to explore careers in STEM fields. This summer, The Working to Advance STEM Education for African Women (WAAW) foundation is hosting 40 Secondary school girls for a Science, Technology, Engineering and Math (STEM) camp designed to inspire African girls to explore careers in STEM fields. Our 2016 STEM Camp targets under-represented senior secondary girls aged 13 – 17 years. The aim of the STEM camp program is to increase girls’ interest and confidence in STEM, provide digital literacy training and create online peer networking platform, where girls connect and continue to learn and improve their technology skills. In partnership with Sasol Engineering, AFRITEX Initiative, and EduTeen foundation, our weeklong STEM camp sessions will introduce Girls to computer science & programming, mobile application development and STEM hand-on curriculum. They will interact with female role models and emphasize the use of computer science and technology to solve real life problems in their communities by employing locally available resources. Our objective is to empower girls by inculcating the sense that they can contribute to problem solving, entrepreneurship and economic development in their communities. Lectures will be focused on hands on learning using affordable locally and easily available resources to empower participants with tools and resources to go out and implement solutions after camp. There will also be fun and recreational activities such as baking, swimming, sports and game time, Dance-drama presentation, and a field trip or excursion to technological companies, University campuses as well as environmental, ecological and historical sites of interest around Abuja, Nigeria. These activities will give the girls the opportunity to open up and get connected with their peers, instructors and mentors in an informal setting. We are now accepting applications for the 2016 STEM Summer Program!!! For complete 2016 STEM camp program & application information, visit http://waawfoundation.org/2016-stem-camp-application/. Registration for the STEM camp is open till July 30, 2016. Scholarships and partial scholarships are available for girls in Government or public schools only. Scholarship covers registration fee, training materials, feeding, boarding, and excursion fee. Please share the news far and wide, and encourage students or parents of girls in Senior secondary school 1-3 in your life to apply.